At a concert in Australia on Wednesday, Eminem once again took aim at Cleveland native Machine Gun Kelly. 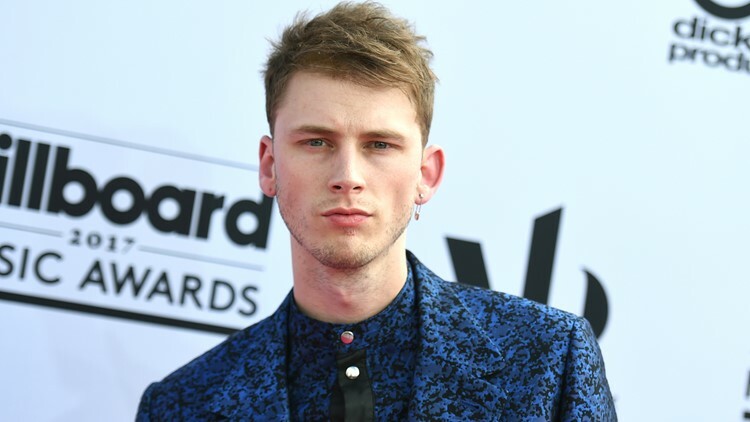 It's been five months since Eminem and Machine Gun Kelly traded diss tracks in a feud that USA Today described as "uniquely terrible." On Wednesday, Eminem made it clear he had no love lost with the Cleveland native. As he wrapped up a concert in Brisbane, Australia, fans began to chant for Eminem to perform "Killshot" -- his second of two songs aimed at Kelly (real name: Colson Baker). The "8 Mile" star, however, declined to do so, stating that he didn't want to give Kelly any more attention. “I would but I can’t give that [expletive] any more light,” Eminem -- real name: Marshall Mathers -- told the audience, per XXL. He then asked the audience to make some noise for itself "and make nothing for MGK." You can view Eminem's comments in the video below (Warning: Some language not appropriate). Unsurprisingly, word of Eminem's comments got back to Kelly, who took to Twitter to respond. "But next time you don't gotta use Tech N9ne if you wanna come at me with a sub-machine gun. And I'm talking to you but you already know who the f--- you are, Kelly. I don't use sublims and sure as f--- don't sneak-diss. But keep commenting on my daughter Hailie." Days later, Kelly responded with a diss track of his own, "Rap Devil," in which among other traits, he took aim at the 46-year-old rapper's age and sobriety. "You're sober and bored, huh (I know) About to be 46 years old, dog. Talkin' 'bout 'I'ma call up Trick Trick. Man, you sound like a b---- b----." Eminem followed up with "Killshot," a popular song/diss track that seemed to bring an end to the feud. That was, at least, until Wednesday.